Earn up to 664 reward points. Legendary Morley feel in an expression pedal. Passive Voltage controller suitable for use with any device that has voltage control or expression pedal feature. Uses one TRS Stereo 1/4" cable (not included) to hook to device. Cold-rolled steel housing and two-year warranty. This CV pedal delivers a supply of voltage that is steady across the travel of the pedal, and features Morley's legendary wah chassis, a much smoother and more judiciously distributed response curve than most of their competition. 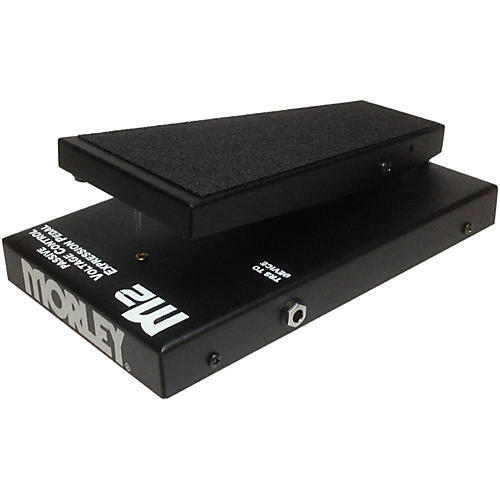 Order today for Morley toughness in an expression pedal.